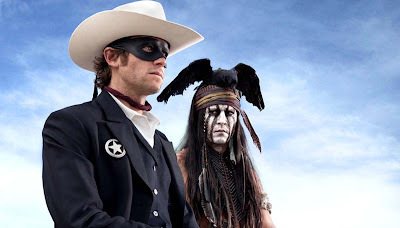 The Moving Picture Blog: Why did The Lone Ranger wind up on Boot Hill? According to Johnny Depp and Jerry Bruckheimer, The Lone Ranger was ambushed by those mean and nasty film critics. No, really: Audiences stayed away in droves because -- are you ready for this? are you sitting down? -- potential ticketbuyers read bad reviews of their revisionist Western. Read all about it here.